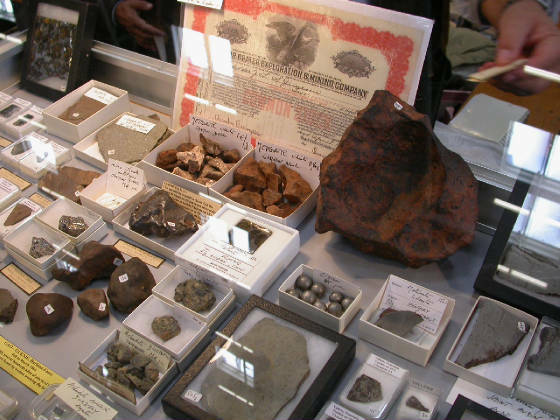 WHAT IS A METEORITE ? 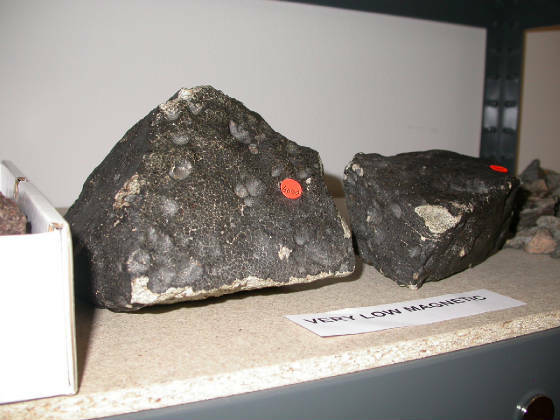 HISTORIC METEORITES 1: Switzerland, Germany, Austria. 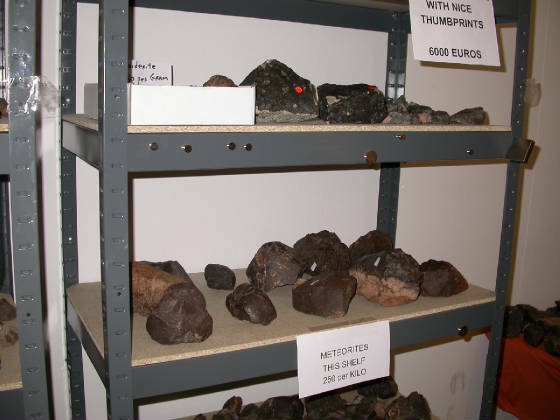 HISTORIC METEORITES 4: England, Ireland, Northern Ireland, Scotland. 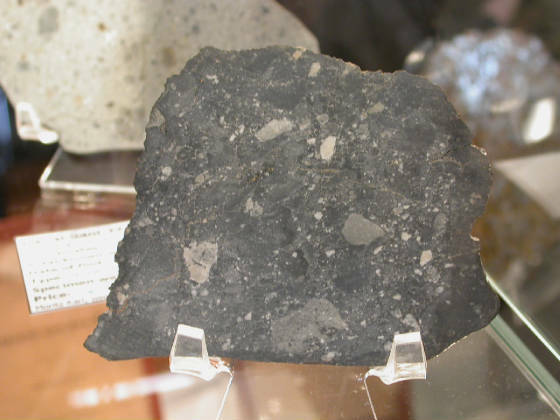 HISTORIC METEORITES 5: Italy, Spain. 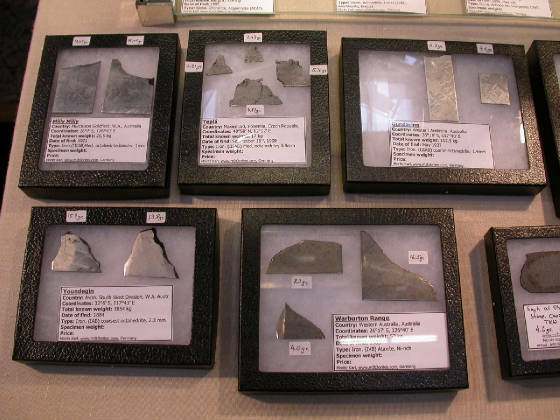 HISTORIC METEORITES 6: Belgium, Netherlands, Finland, Sweden, Norway. HISTORIC METEORITES 8: Romaina, Serbia, Croatia, Estonia, Bosnia-Herzeg. 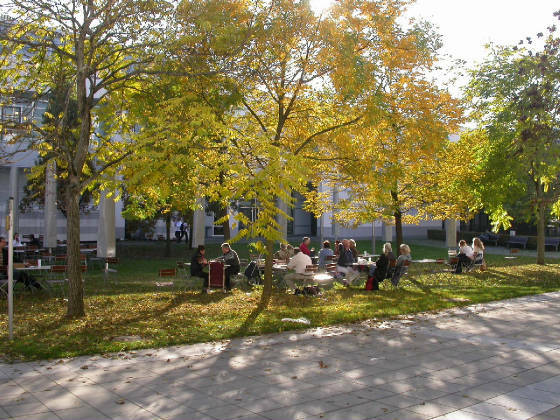 Nice park between two exhibition halls. 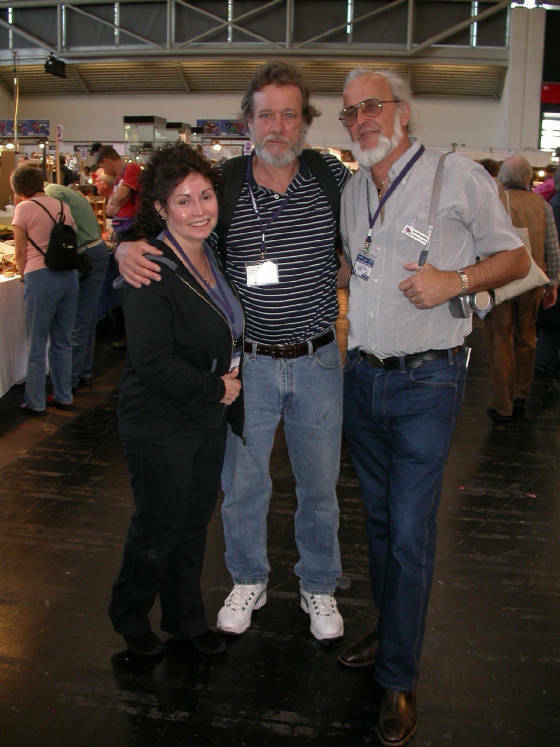 Iris and Allan Lang (New York) and Norbert Kammel from Down-Under. 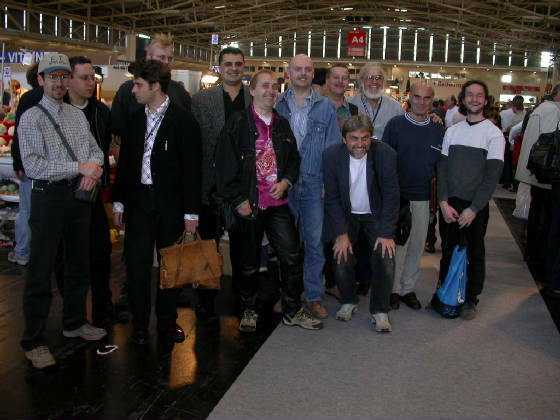 Hans Koser with his Campos. Dean with his mother Marylin... and 1000 kilos of NWA's! 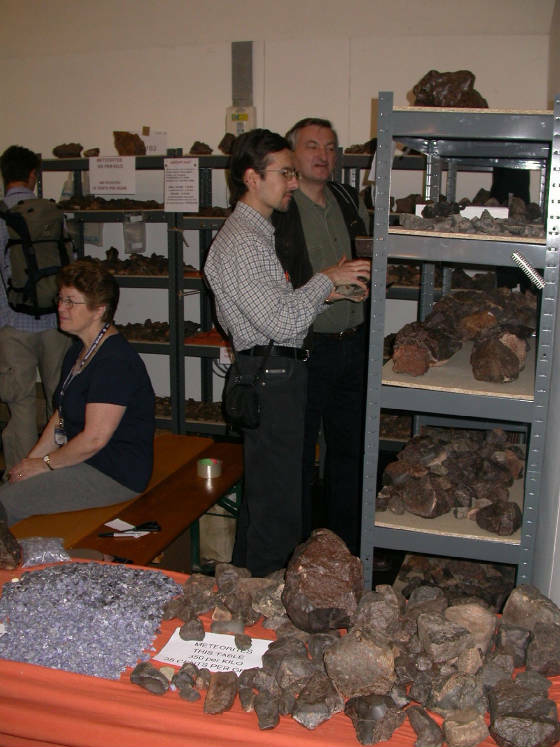 Two Polish meteorite aficionados... like kids in a candy store;-)! Nice stuff... and nice price! Black beauties waiting for customers. 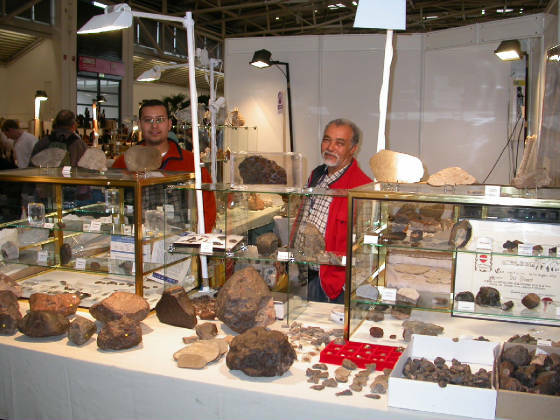 Ali Hmani with son and great meteorites from Northwest Africa. 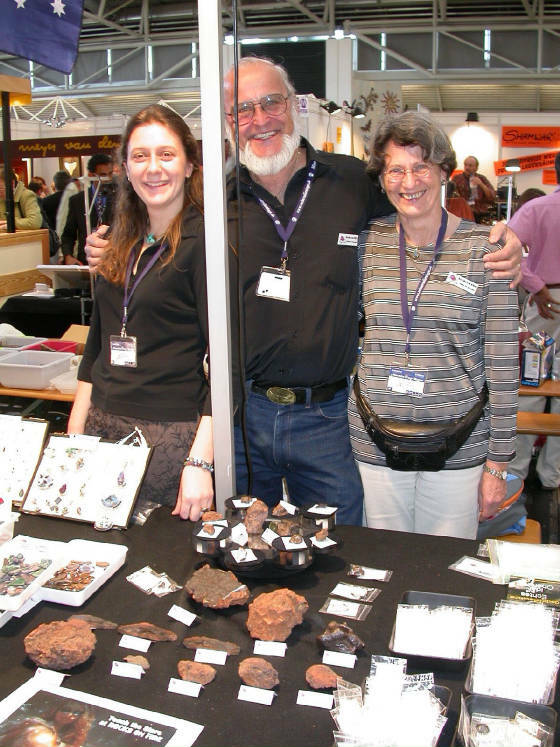 Bob "The Meteoriteman" Haag with Carine and Bruno. 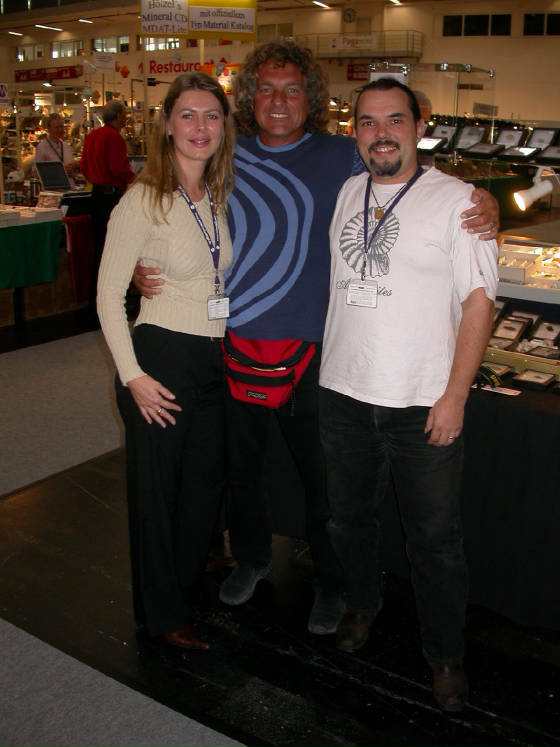 From Australia: Norbert Kammel with wife Heike and "daughter". 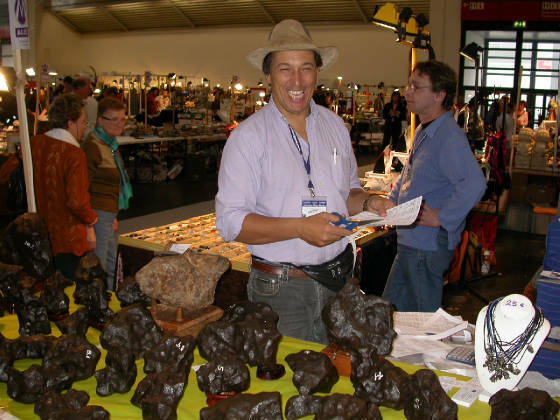 Nice meteorites on the table of Alain Carion. From our Moon: a 12 gram slice of Dar al Gani 400! Very rare Australian irons: Milly Milly, Gundaring, Warburton Range, Youndegin. 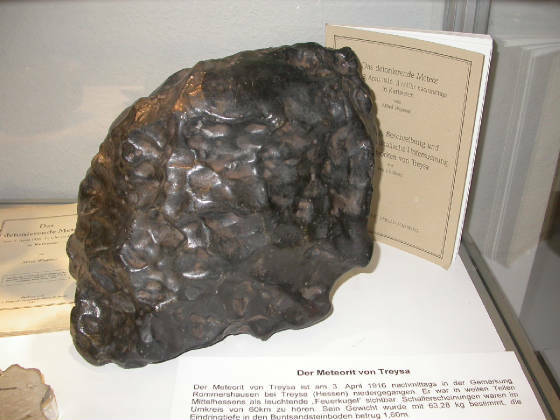 Not for sale: Trysa meteorite, fell in Germany in 1916, one mass of 63 kilos! 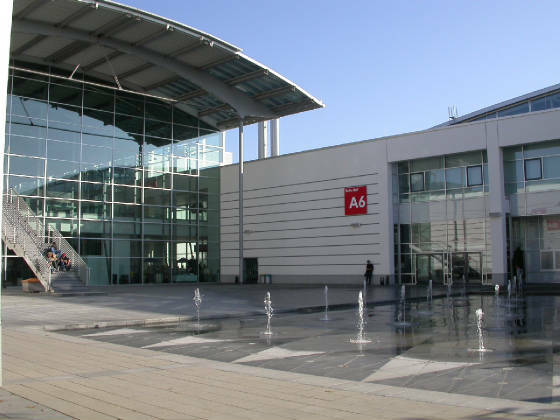 See you all in Ensisheim (France) in June 2006!! !